Thuerk admitted, that he received complaints about his marketing ploy, and apologized about it. As the world look backs to this particular mail, unsolicited email became more vicious and more disruptive. Spam, instead of just being an unsolicited marketing email, now comes saddled with phishing, social engineering and virus infection. The 2017 statistics showed that around 60% of the world emails were just spam. The impact is huge, as the time spent by users to control spam themselves cost $130 billion yearly. Cybercriminals have increased their attacks by employing non-human ways of spreading spam, through the use of botnets. Botnets are produced by a collective effort of malware authors and spammers, by using infected PCs to launch spam emails. One of the most common botnets in history was Rustock. Rustock, at its height, was sending 30 billion spam emails daily. Most of the spam comes from highly industrialized countries. The USA, China and Russia occupies the top three Spam source in the world, as per Spamhaus. Most of the spam emails received by email users were in relation to medical procedure and drugs, how many times have we received spam emails about Viagra? There are two schools of thought in the fight against spam, the user taking the more frontline position or the system administrators doing their research in seeking a long-term solution. Users on their own, provided they have power user privilege can use anti spam free download in order to filter junk mail off their mailboxes. Anti spam free download has varying quality, from basic to sketchy, depending on the reputation of the vendor releasing the tools. Anti spam free download needs to be installed per PC, per user. The user need to be knowledgeable enough what anti spam free download to choose from many vendors in the market. Anti spam free download needs to be sourced from a legitimate vendor, as installing a security software from non-reputable sites is very risky. With users installing an anti spam free download, the responsibility of updating it is on their shoulders. Maintenance of computers and of the network will be harder if end-users decides to use an anti spam free download. The IT team needs to evaluate the current network situation and uninstall the anti spam free download chosen by a user to install. Taking into consideration this heavy hidden cost of using a sketchy anti spam free download, many enterprises may learn their lesson the hard way. The responsibility of securing the email system belongs not with the users, but with the IT team. A business anti spam that is hardware appliance-based is more flexible and does not place a transparency burden on the mail server or in the email clients, the anti spam free download is no match in performance. Such efficient business anti spam prevents delays from email sending and receiving. This is in stark contrast to a software-based anti spam free download that runs on the mail server that interferes with the operation of the latter in real time. Anti spam free download must be disregarded in favor of a much more useful solution. There is no assurance that the anti spam free download has an automatic filtering updates, as compared to a commercial hardware solution that blocks spam automatically. Anti spam free download may become an additional bloat in most computers, as there is a possibility of sysadmins not detecting its installation before a corporate anti spam solution is rolled-out. With thousands of computers in the enterprise, tracking down and uninstalling the anti spam free download solutions will be very difficult. End-users come and go, employees join and leave the organizations, however when they install unauthorized anti spam free download it will take a lot of time to remove them all. The solution is to implement a corporate policy preventing end-users from installing their own software of choice, even if it is for the good of the user, like the anti spam free download. One such business anti spam is launched by Comodo. A trusted name in privacy and security, Comodo Dome Anti Spam is a multi-tier system for fighting junk emails. Comodo® Dome Anti Spam protects the email clients from malicious attachments and links. Heuristics cloud-based scans supplements the core anti spam engine, it quarantines questionable messages as one of its primary anti spam actions. Heuristics is an advance feature, which anti spam free download does not feature. 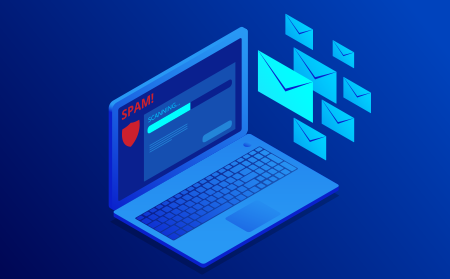 These days that spammers have all the tools at their disposal to continuously improve their spam, a comprehensive anti spam action needs to implemented by an enterprise, regardless if they are large or a start-up. Anti spam free download is only good for a short term, not as a long term solution for the enterprise. Depending upon the requirement of the enterprise, Comodo Dome Anti Spam is a business anti spam solution which can be entirely cloud-based, h\osted in the cloud, but connected to your mail server or a hardware appliance located in your own office network itself. Try it today!